Artists try to help us realize that we and the universe are united, that all is one. 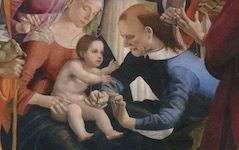 In Luca Signorelli's Virgin and Child, the donor's dead, his arm the color of a corpse. The flap of his ear would also have become folded in the death-mask process. 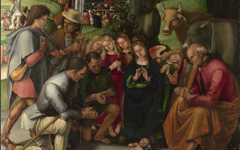 Signorelli could have straightened it just as he put life into the face but chose not to. Joost Keizer argues that these choices result from "a highly motivated kind of realism....about the veracity of naturalistic pictures" in the mid-15th century.1 The patron might have thought so but the artist, who tellingly left the ear in the shape of his initial S, used it to identify the dead donor as his alter ego. There is more at stake here than naturalism. 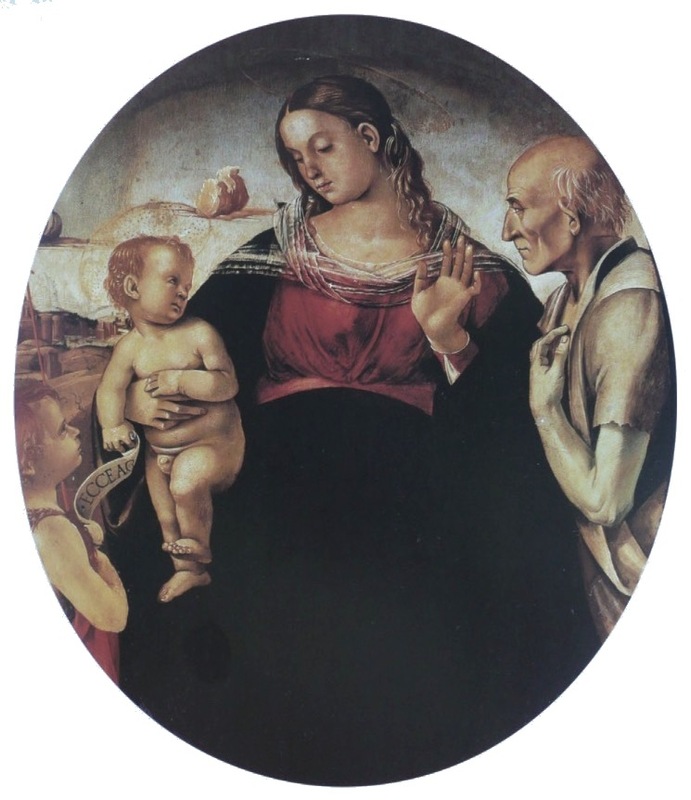 Luca Signorelli, Virgin and Child with St. John the Baptist and a Donor (c. 1491-4) Oil on panel. Musée Jacquemart-André, Paris. Art is esoteric, its most profound meaning hidden under veils of visual illusion and philosophical wordplay. 'Death' is not literal but how we live when driven only by material and physical pleasures. Our life is dead. 'Birth' or "awakening" implies a turning-point, from this dead way of life to a higher one. The raising of Lazarus, for instance, signifies this transition as an example for all of us. His mind, once dead, was raised to Life and awakened to the spirit inside him. It. Our donor may also be dead but his figure implies a resurrection. That is why, despite the deadness of his arm (and presumably body), Signorelli put life in his head as it glimpses the divinity in his own mind which we, the viewers, are inside too. 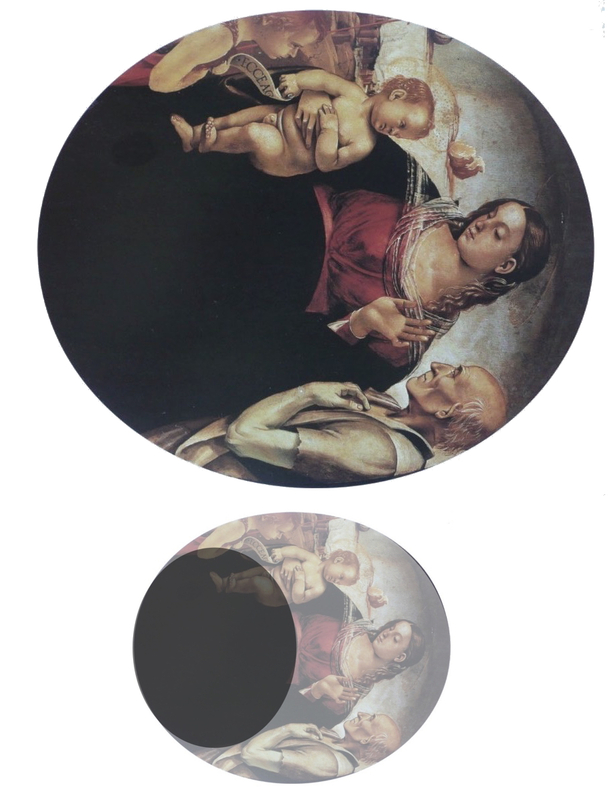 This is supported by a method first revealed on EPPH and used by several great artists: Van Eyck, Raphael and Poussin to name a few.2 Rotate the painting through 90° (top) and the composition changes into an eyeball looking left with the Virgin's unrealistically wide lap as its pupil.3 See the diagram below. Right-way up, the eye looks downwards, a divine eye linking the life of the spirit above with that of the body below. Note too how Christ as the pathway between these two 'worlds' overlaps the two parts of the eye. The image tells us that we and God are one. But we can only experience this by "painting" (i.e. imagining) ourselves as more spiritual, as the donor does with his dead hand turned inwards. He touches, i.e. 'paints' himself, at the point where the color begins. In viewing Signorelli's 'eye', which is both God's and the artist's, we should recognise that it is ours too, that we like the cosmos or God are perfect and universal. The trouble is that, blinded by physical desires and false illusions, we fail to see how perfect we are and that the divine eye is our eye. Thus, like the donor, we should 'paint' a better self-portrait. 2. See, for example, Poussin's Ordination (1640's). 3. Note how the darkening sky at top helps the illusion of a three-dimensional eyeball. 4. Meister Eckhart’s Sermons, trans. Claud Field (London) 1909, Sermon IV: True Hearing. Original Publication Date on EPPH: 03 Feb 2017. © Simon Abrahams. Articles on this site are the copyright of Simon Abrahams. To use copyrighted material in print or other media for purposes beyond 'fair use', you must obtain permission from the copyright owner. Websites may link to this page without permission (please do) but may not reproduce the material on their own site without crediting Simon Abrahams and EPPH.